CCL - COMBED CARBON LAYERING The absence of corners on the frame surface allows for full use of the carbon layers, optimizing the overall stiffness of the structure while improving performance. 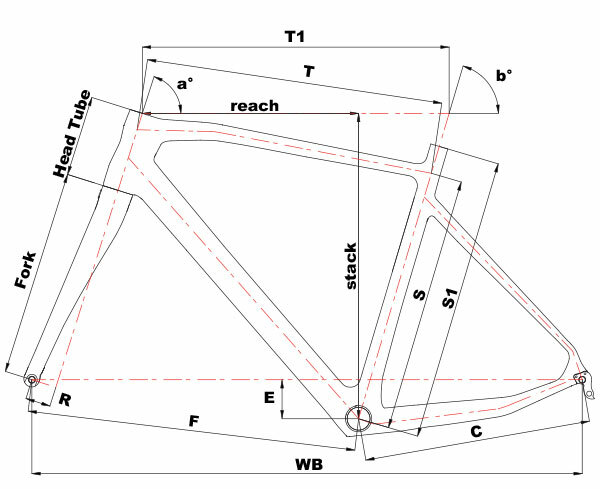 GCD - GEOMETRY CONTROLLED DEFORMATION: The special horizontal curve allows that the angling of the head tube is consistent even when met with strong vertical forces on the frame, which typically cause a deformation of the wheel base when met with a road obstacle or a sudden burst out of the saddle. GCD improves control as well as the overall predictability of the bike. OCR, OPTIMAL CABLE ROUTING: The internal cable routing is designed to avoid pinch points in the hydraulic system, while maintaining maximum efficiency in system operation.